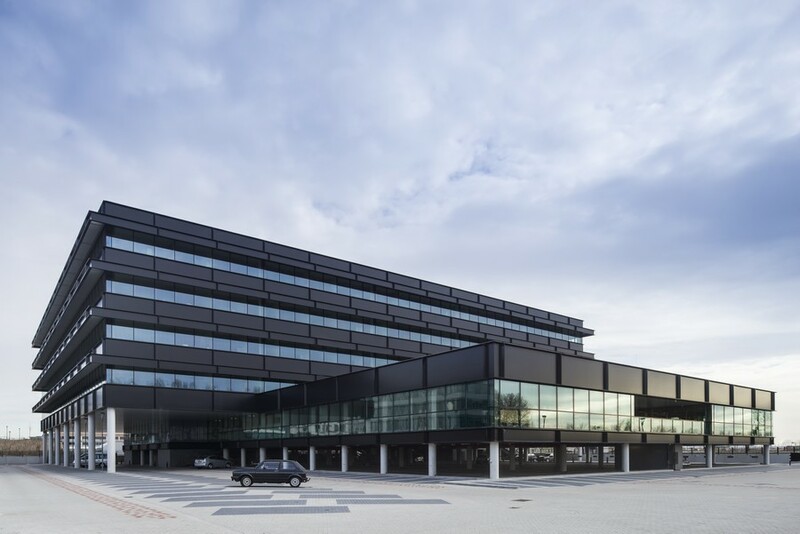 The robust, aluminium façade structure combined with a contrasting warm and pleasant interior characterizes the new headquarters of engineering company Fluor. A spacious atrium connects all upper workplaces with each other. 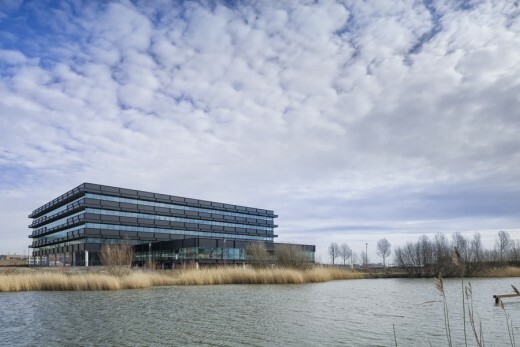 The office, designed by Paul de Ruiter and built by Dura Vermeer, is located at the sustainable business park Beukenhorst-Zuid in Hoofddorp. Fluor works on global issues in the field of chemistry and the generation of energy. This requires a well organized office, which stimulates high work performances. 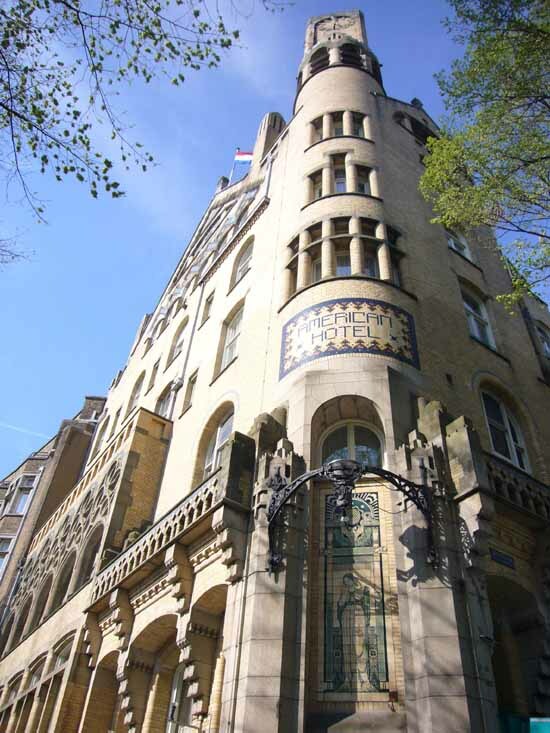 The new office is designed to attract young, international talent with its sturdy appearance. The workplaces are developed to make sure the staff is able to operate as efficient as possible in continuously changing large project teams. 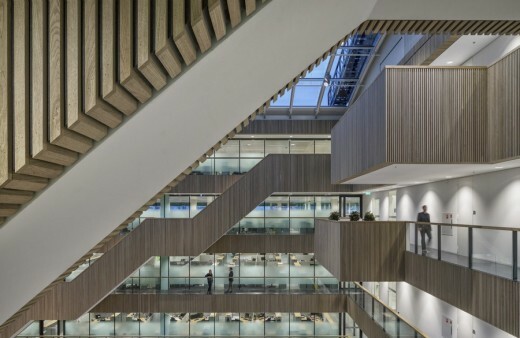 Furthermore, the office has an exemplary role when it comes to sustainable offices that both have a positive effect on health, work performances and internal communication. 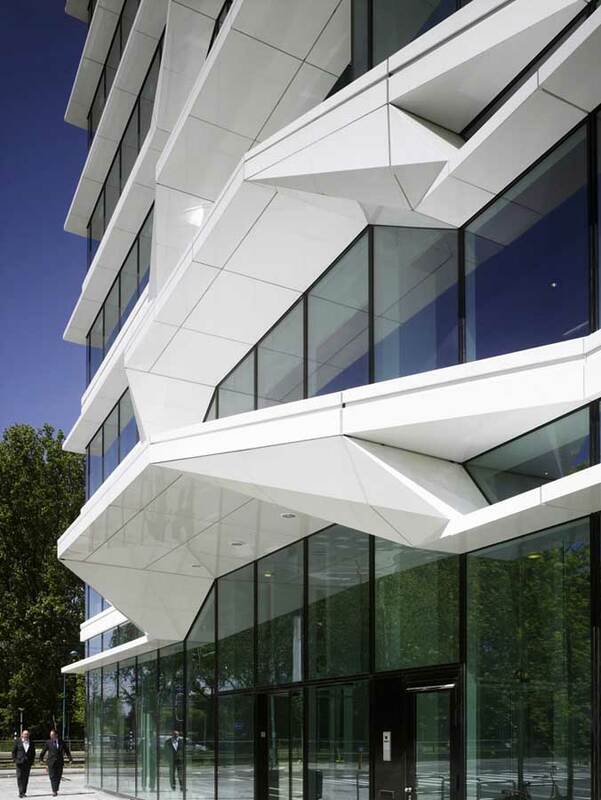 The design, rewarded with a BREEAM Excellent certificate, is based on the wellbeing and health of its users. Hence, every single area in the office is provided with good air quality, realized by a climate ceiling that supplies fresh air, and a constant temperature is maintained by a heat pump. 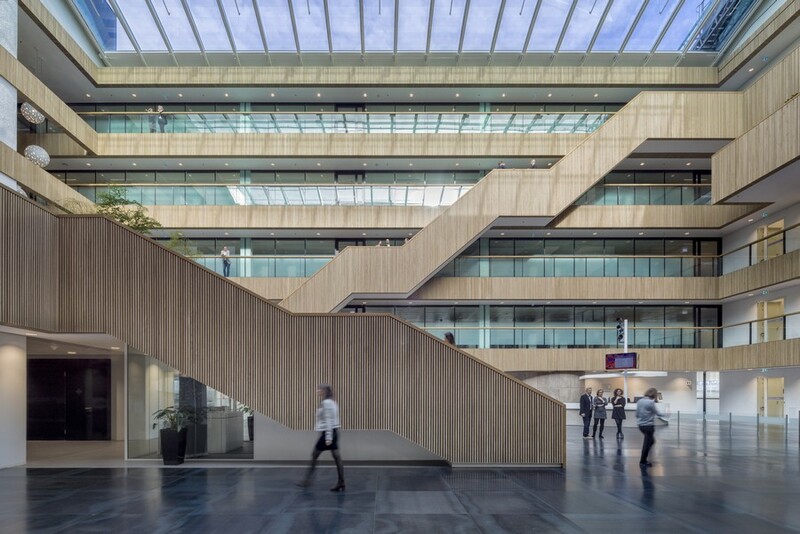 Daylight enters the building as much as possible via the atrium roof made out of triple insulating glass, complete with automatically controlled blinds, and via the optimal orientation of the workplaces towards the sun. 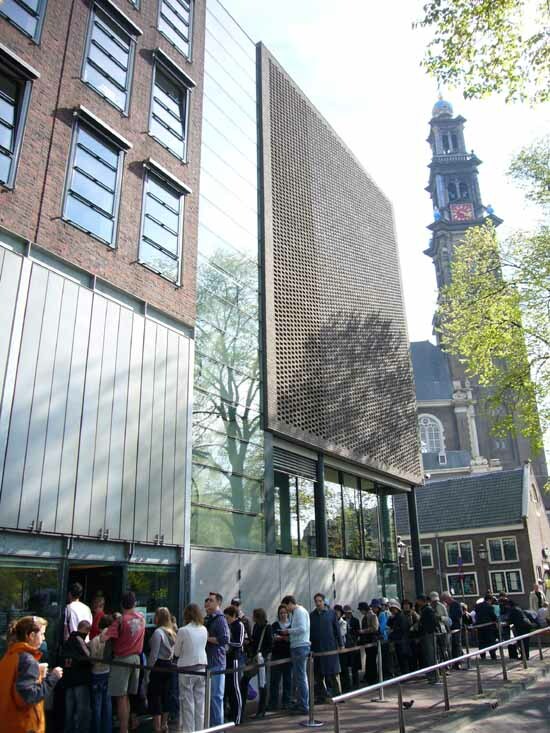 Innovative solar controlled glass, especially designed for Fluor, and used for the façade prevents the building from light nuisance and warming. 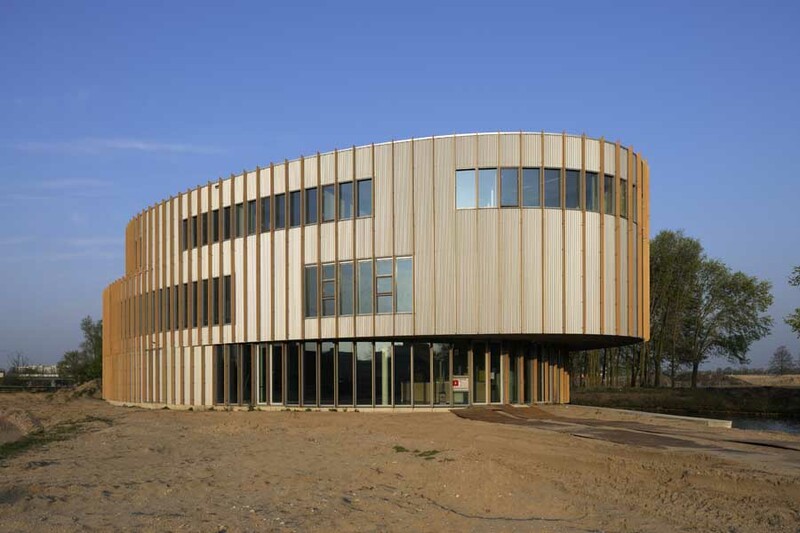 To reduce more energy, the compact office is completed with an as small as possible façade surface. Moreover, the roof contains 2.000m2 of solar cells. Work performances can only improve within a healthy working environment, if there is also room for relaxation. Recreation can be found in the informal setting of Fluor’s atrium. This spacious part of the new office encourages informal encounters between the project teams that are normally separated. This strengthens the Fluor identity and advances the exchange of knowledge and productivity. The galleries, platforms and inviting stairs stimulate the staff to reach their workplace on foot, which makes the atrium function as a connecting factor that improves the internal communication by changing the existing, closed office culture. The location also contributes to a relaxed working environment with its orientation towards the green Geniedijk, part of UNESCO’s World Heritage. This site offers a soothing view and space for recreation.